Pilanesberg Game Reserve lies in the Bojanala Region of the lower North West province, about one-and-a-half hours’ drive from Johannesburg and an easy drive from the “glitz and glam” of Sun City. Covering an expanse of 55,000 hectares, Pilanesberg National Park is the fourth largest park in South Africa, and home to an abundance of bird- and wildlife, including the Big 5. Also, thanks to the park’s commitment to Black Rhino conservation, you’ll have the chance to view this retreating and highly endangered species in its natural habitat, putting a visit to the park at the top of any wildlife enthusiasts’ bucket list. 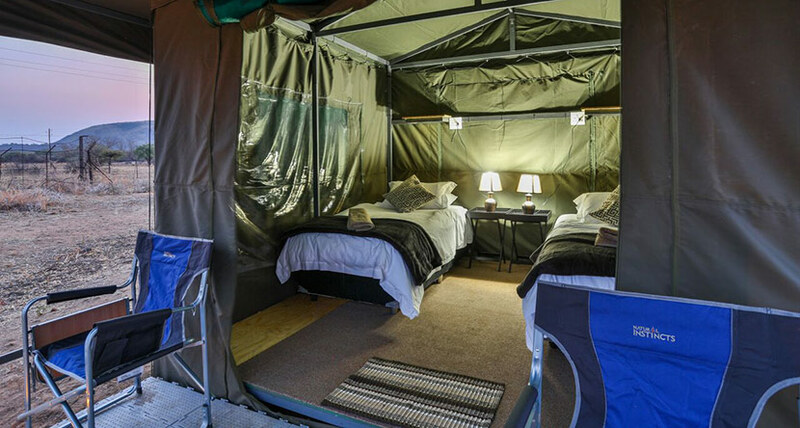 Pilanesberg Game Reserve offers a variety of affordable bushveld breakaway options, like the self-catering Manyane and Bakgatla Resorts. Set at the foot of Pilanesberg Game Reserve’s Garamoga Hills, Bakgatla Resort is ideal for an adventure-filled family or group getaway. Each of the Resort’s rustic canvas tented chalets comes equipped with a kitchenette, refrigerator, sitting area, main bedroom, bathroom, plus a loft bedroom for the kids. 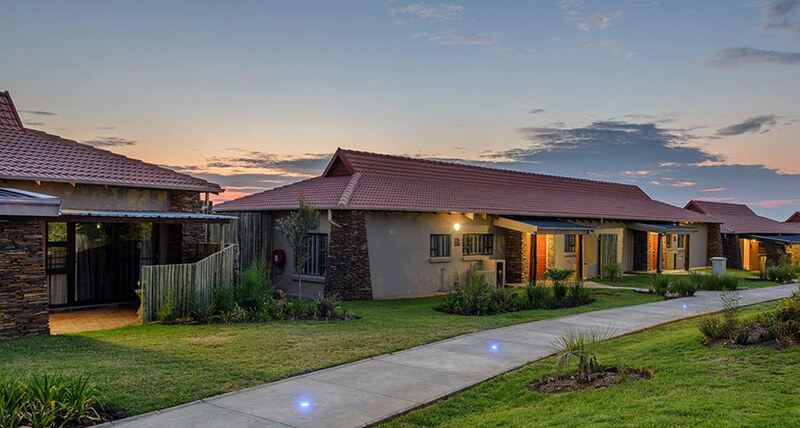 Bakgatla Resort is all about taking life at a leisurely pace and enjoying the many opportunities to get in touch with nature, making it a firm favorite with lovers of the great outdoors. Manyane Resort lies alongside Manyane gateway of the Pilanesberg Game Reserve and is geared for family and friends looking to escape the hustle and bustle of the city. 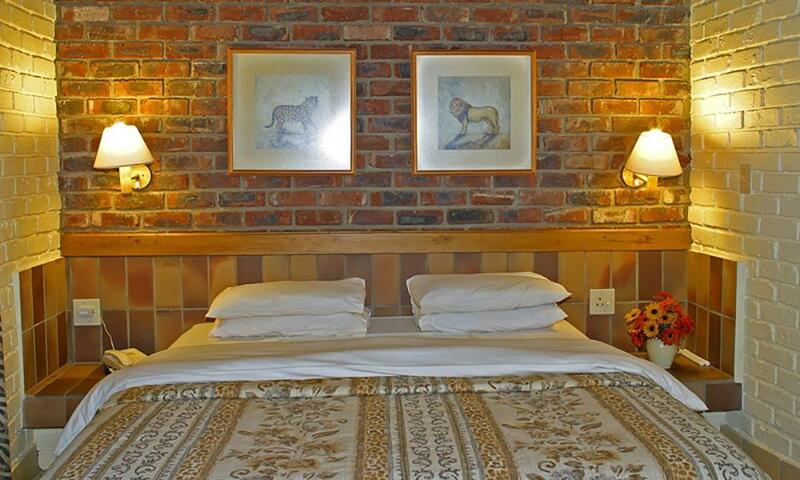 The Resort offers visitors two affordable self-catering options – charming canvas safari tents and cosy thatched cottages. If it’s adventure you’re after, Manyane Resort will not disappoint with its range of fun activities and proximity to the Pilanesberg bushveld. The Resort is also an excellent venue to host special events like weddings and workshops.